With a Netflix stand-up special behind him and a Netflix documentary ahead, Hannibal Buress is going to while away the rest of the summer in preparation for his newly announced 28-city North American tour. (Well, that and wrap filming on Spider-Man: Homecoming.) The Comedy Camisado comedian, Broad City actor, and Samsung spokesman will spend most of the fall bringing the Hannibal Montanabal Experience to the U.S. and parts of Canada (hello, Calgary!). 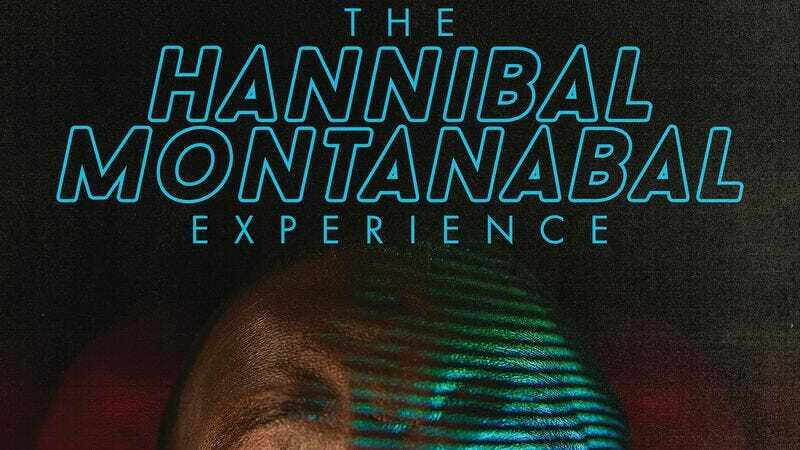 We assume the bulk of the experience involves sitting and listening to Buress’ comedy before laughing in response, but he’ll occasionally don stringy blond wig and sing insipid pop songs. Tickets go on sale Friday, August 5, and can be purchased at Buress’ website. Here’s the complete list of dates.